West Bengal is a hub of art and literature. A majority of the population possess the capability to think and make an objective judgement about the political party they support. It is a promising state and consists a large number of thinking population of India. This population can be put to use for the benefit of the country. The number of votes that can be casted are tremendous, and the first step to start voting is having your registered Voter ID Card. In order to make a Voter ID Card an individual has to be a minimum of 18 years. The laws and regulations regarding all the Electoral decisions are made by the Electoral Commission of India. This wasn’t the case some time back. At the time of launch the entire online process was under the Chief Electoral Officer, but somewhere in 2011, the ECI was brought in and given equal responsibilities. It now takes charge everything from tolling booths to electoral rules and regulations all over the nation. Since India, is a large democracy, the registration process formed by ECI differs from state to state. So here are a few quick steps you can take in order to register for a Voter ID Card in West Bengal. The first step is to log on to the official Electoral website www.ceowestbengal.nic.in. 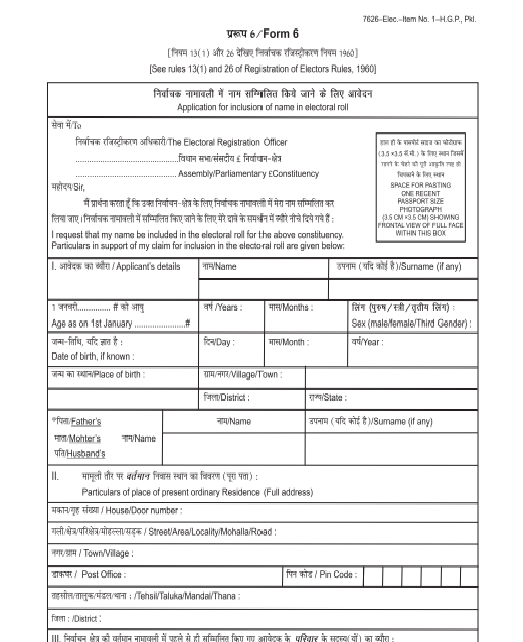 This website will give you essential information required to register yourself. It will firstly ask you to create an account by filling in some personal details. Once these details are filled a verification link will be sent to your registered e-mail ID. By clicking on this link, you will be able to verify your account and go ahead with the entire process. 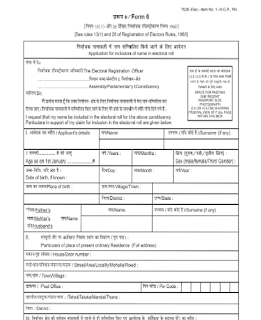 You then have to look for FORM-6, fill in the desired details; like your residential address, date of birth etc. FORM-6 will also require a passport size scanned picture of you. Once all the formalities are completed, press the submit button. This has now been received by the officials. Once the online process is complete, you have to send hardcopies of your residential address, ID proof along with your signatures. These details will then be verified by a Booth Level Officer, who will visit your house to make sure every detail in the form is valid. Once the officer gives a heads up, you will proceed to the next and the final step. When all the three steps are completed without hesitation the Voter ID will then be given to the candidate that filled out the details. The officials have a policy where only the candidate whose card it is can receive the registered voter ID Card. Unlike the old days, registering is now a click away. All you need is a laptop, a passport sized scanned picture and a good internet connection. These websites also give the facility to translate the form into Bengali. 0 Komentar untuk "How to List Yourself for a new VOTER ID CARD in West Bengal - Complete Registration Guide from ECI Officials"